Apple officially unveiled the new MacBook Air on Tuesday, and benchmark results have emerged on the internet that show a noticeable improvement over 2017’s MacBook Air, though some people may feel the boost doesn’t go far enough. The new MacBook Air earned a score of 4248 on the Geekbench single-core test and 7828 on the multi-core test. 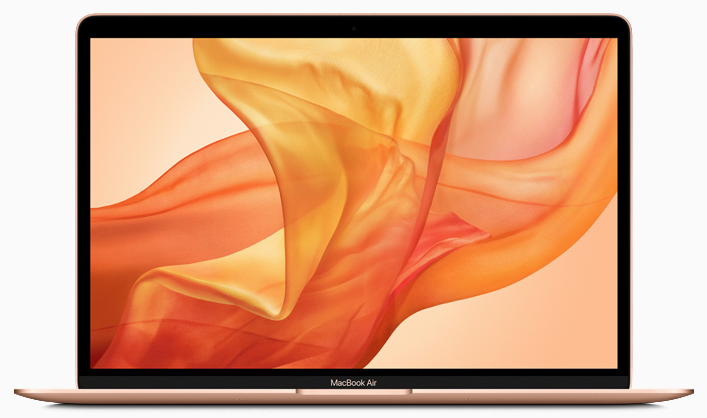 That was enough to top the 3335 and 6119 the 2017 MacBook Air notched on single- and multi-core tests last year. As 9to5Mac observes, this is around 27% and 28% faster than the single core and multi-core scores of the MacBook Air 2017, respectively. Despite having two cores, the numbers obtained by the machine are quite respectable. Of course, the 2018 MacBook Air cannot come close to the 2018 MacBook Pro models, who’s quad-core processors give in an edge in not just multi-core tests, but various real-world scenarios. Apple’s 2017 MacBook Pro without the Touch Bar scored 4314 and 9071 in the testing and the base 2018 13-inch MacBook Pro with Touch Bar tallied scores of 4504 and 16464, showing much stronger multi-core performance than the Air. What’s more interesting is that the iPad Pro that Apple unveiled at the same event earlier this week outscores all these MacBooks in the same tests, including the new Retina MacBook Air and its predecessors, the 12-inch MacBooks, and several MacBook Pro models. The A12X chip inside the new tablets scored over 5000 and over 18000 points in the same test. 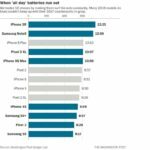 This means you’re certainly going to get a better performance out of the new MacBook Air compared to last year’s model, though some people may be disappointed to see that the leap isn’t quite as drastic as they hoped. The new MacBook Air machines debuted on October 30, and along with the processor updates, the machines also ditched the USB-A and display ports in favor of a pair of Thunderbolt 3 ports. The new machines have an edge-to-edge screen with bezels that are 50% thinner. In related news, Apple’s new iPad Pro, which was announced on Tuesday, has a processor that’s nearly as fast as high-end laptops, according to an early Geekbench score, which tests processor speeds.